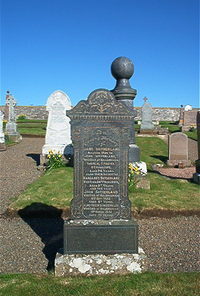 Jane Sutherland died at Ballbrochan Smerlie Lybster d 8th April 1910 aged 74. Daughter Margaret Sutherland died 26th September 1902 aged 27. Husband John Sutherland died at Ballbrochan 9th October 1922 aged 87. Son Donald Sutherland died at Ballbrochan 1st March 1941 aged 70.